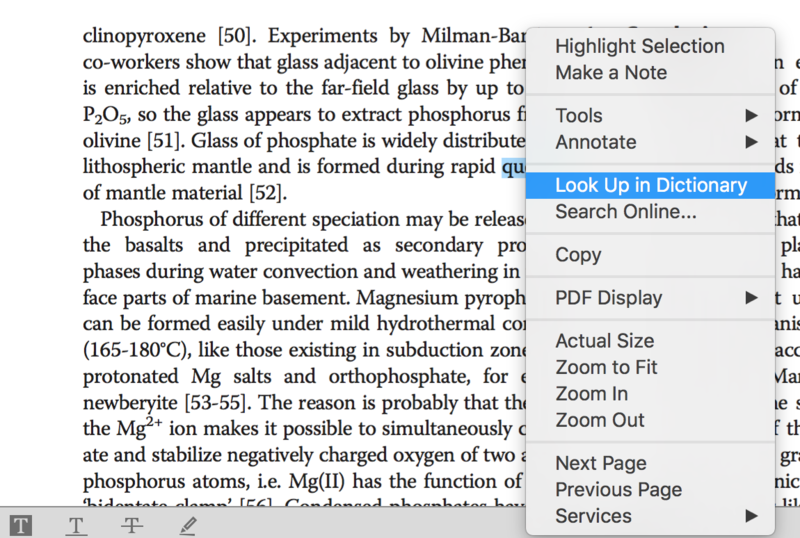 Did you know that it is possible to select a word from your PDF and find its definition? 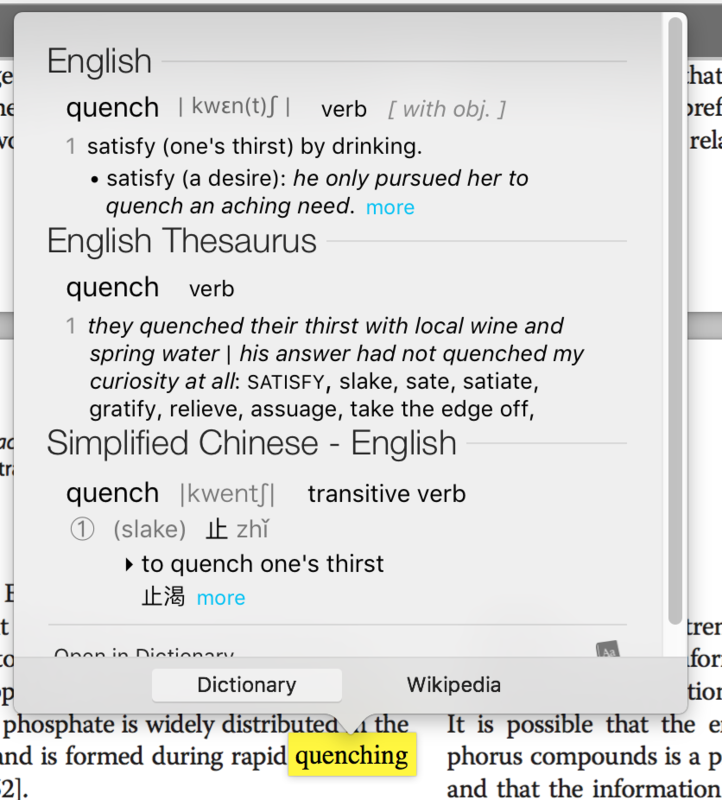 To do so, select the word that you would like to define, right-click and choose 'Look Up in Dictionary'. You will then be presented with the definition of this word in Dictionary. In order for the Look Up in Dictionary to work, you need to have the Dictionary.app installed in the root of the Applications folder.